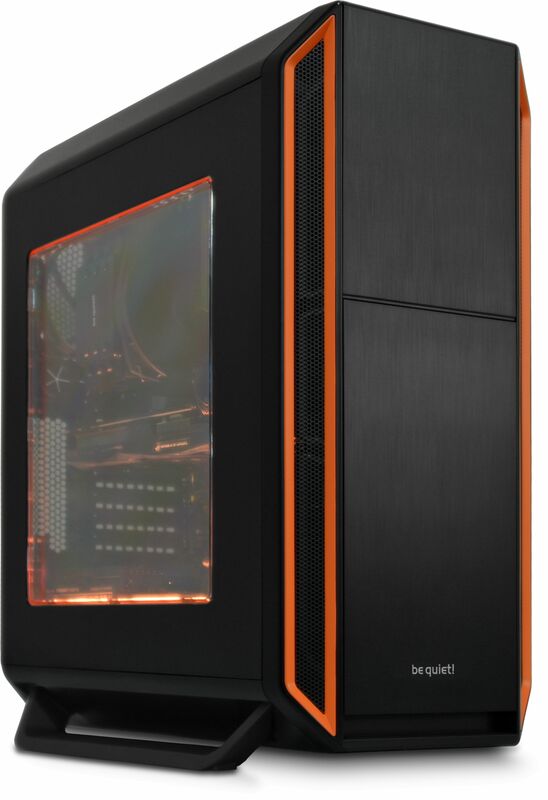 A top quality fully-built quiet PC, using high performance be quiet! components. The be quiet! approved A800 system utilises the excellent Silent Base 800 chassis and comes with a two-year fully inclusive warranty. Based around be quiet's feature rich Silent Base 800, the A800 PC offers excellent performance whilst keeping noise to a minimum. This system takes advantage of Intel's latest Coffee Lake CPUs. These processors have broken the mold as they now feature more cores and threads compared to previous generations. The Core i3 now features four cores and the i5 and i7 versions are now 6 core CPUs, which is an increase of two cores for each processor. As well as an increase in core count, the amount of threads for each CPU has also gone up, meaning more multi-tasking can be achieved. These additional cores and threads really make the 8th Generation a great performer. For example, the Core i3 8350K CPU is now equivalent in terms of performance to the 7th Gen Core i5 7600K but costs significantly less - giving you more performance for less money. In this system you'll find that (where possible) only be quiet! components can be installed. You have a choice of be quiet! CPU cooler and power supply, which will be installed into the be quiet! chassis that features multiple be quiet case fans. This guarantees that the system will make very little noise. be quiet! and Quiet PC are an ideal partnership! Tell everyone, but do it quietly! The ASUS ROG STRIX Z390-F GAMING motherboard is ASUS AURA ready. This makes it possible to install the Nanoxia Rigid RGB LED. If this option is selected we will install the LED at the bottom of the chassis and configure ASUS AURA software so all LEDs within the system produce the be quiet! orange. Of course once you have the PC you can use the AURA software to change the colours and effects. 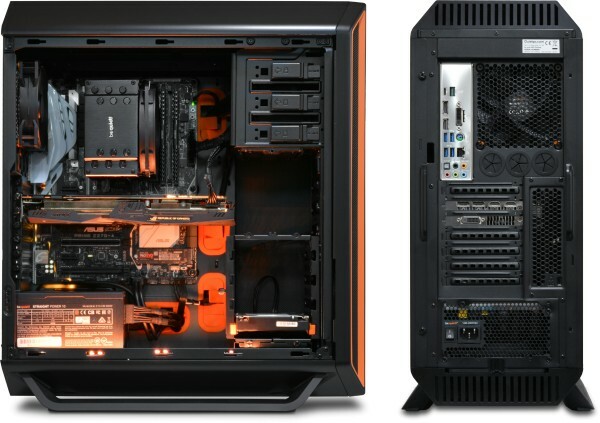 Obviously do not select this option if you choose the chassis with a solid side panel!